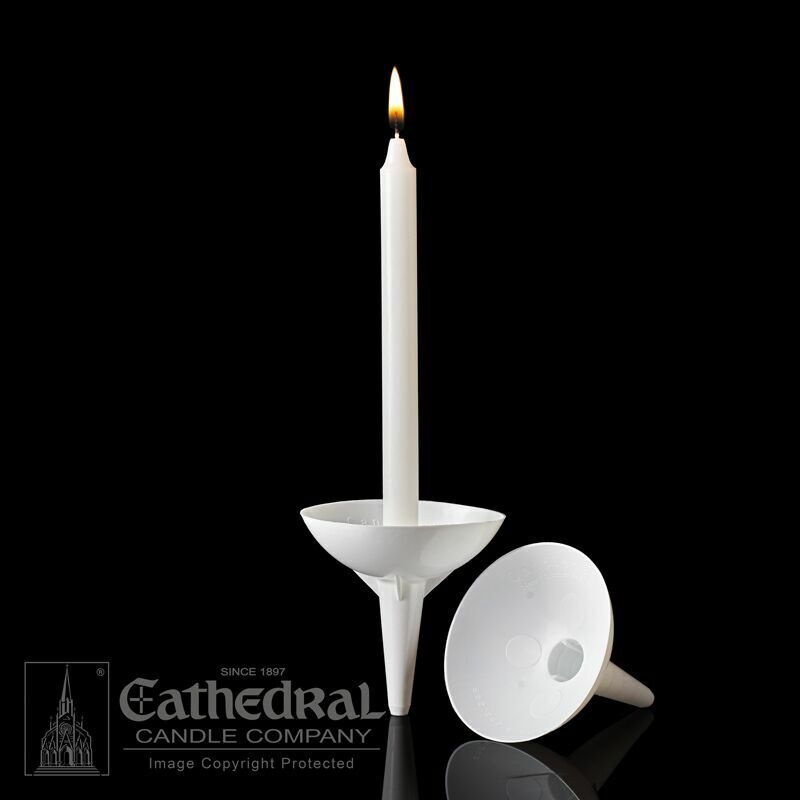 Plastic Handle/Holders/Drip Protectors are specially designed to hold a candle 3/8" to 17/32" in diameter securely. The handle protects hands and carpets/flooring from dripping wax. Reusable. White.